I want to break free from the Sabbath but i always fear something bad will happen if do something "wrong"
The SDA won't permit Jandell to play on sabbath day. So the SDA is distinguishable from a cult in what way? the sda is a cult. thanks for pointing that out. and yes i will try that ive done thay before but its still bugging me...maybe if i do it for a while i wont be bothered. thanks. You are welcome. What caused your apostasy? Yes, I would feel sick and tired of keeping the sabbath even after I stopped keeping the sabbath, too. The claws of dependency continue to have hold of you. Do you continue to believe in god? of heaven? or hell? Why? Have you not found enough reason to flush those hooks down the toilet into the sewer where they belong? What do you gain by allowing myths and fables to control your life? Maybe you like being dependent on a Superman or Spiderman to fly in at the moment you need help. Did those saviors save you from anything in the past? What is there about going out, attending birthdays, watching movies, taking a simple walk in the park that sends you to hell? Do you cause others harm when you participate in these activities? Do you take something of value from others when you do such things? When other people go out, attend parties, watch movies, take walks in the park do they deserve to go to hell? You didn't say you are/were SDA, however, here is a site that may be of help to get over the nausea of breaking away from religion. "Have you deconverted from the Seventh Day Adventist church in your heart and mind, but are afraid to come out? then this website is for you. It provides guides, advice and tips for leaving the church." It's YOUR life, Jandell, your property. YOU own it, not some non-existent referee / judge-and-jury. You are, first and foremost, responsible to YOUR OWN SELF for the actions you take and what happens as a result of those actions. What is so horrible about joining someone's celebration of their life at a birthday party or indulging your own interest in something on the silver screen? Answer: NOTHING. The SDA wants you to be saddled with Something That ISN'T THERE, so they can control you with it. Tell 'em to take a long walk off a short pier ... and if it suits you, go fishing from that same pier! Enjoy your life and share your life as YOU see fit. I doubt mightily that you'll make a misstep. Once again Joan and Loren you miss the point. This is similar to the man fearing his demise. In both instances the sufferers have a clear understanding but experience emotional reactions beyond their control. In this case Jandell has the residue of indoctrination from the SDA and simply willing him/herself to a defenestration of the baggage is a difficult proposition at best. 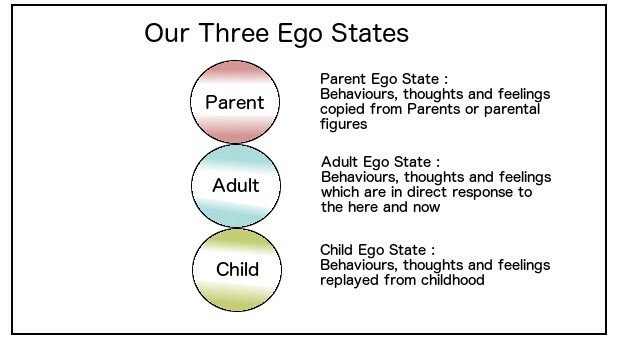 When my early life conditioning negatively impacts current feelings, I try to "do my homework", using the transactional analysis framework - that we act as if we have 3 ego states, child, parent and adult. When 2 agree on something, we act. I talk from my inner adult to each of the others, explaining and giving permissions as if to an inner child and inner parent. I actually do this aloud and repeatedly, until it's "heard". Listen, as it were, for the reactions and feelings that emerge, to address them. You might find it helps to clarify unstated (irrational) fears, for example, that can then be addressed. Then I give myself advice about alternative feelings and activities to try, as if I were counselling a child and parent. Jandell, that even a simple walk in the park results in your feeling anxious persuades me that you, like I for most of my adult years, are experiencing the hyper-alertness stage of post-traumatic stress. Whatever my physical activity at any moment, if my mind wasn’t also busy I worried that something harmful would happen soon and I needed to prepare to resist it. I was about seventy before, in a dictionary of psychology, a list of the four stages of post-traumatic stress. NOTE THAT I DO NOT SAY IT’S A DISORDER. The human immune responses are signs of health; they are how the body protects the body from further damage. Similarly, post-traumatic stress is a sign of health; it’s how the mind protects the mind from further damage. 4) acting out, in nightmares, addiction, or with unintended physical responses such as hitting someone. Let the amount of anxiety you feel determine whether to seek treatment, perhaps in a talk group. The fourth stage can result in harm to others and may require professional help. I did a web search on the symptoms of PTS and found studies saying it has more than four stages. I chose to stay with the dictionary’s four stages. Nothing will happen to you. Whether SDA or any other religion, ideas of a Sabbath and keeping it holy are far outdated today. If "holy" is meaning "set aside" for this special worship keep in mind that calendars have changed quite a lot in the last 2000 years. This makes ideas of a Sabbath hard to nail down. All religions are a cult. They were started by someone who left one cult in order to start another cult. This happened because people read a bible and have differing opinions on what to do. This is why we have close to 4000 current religious denominations. How do you know you're pleasing the RIGHT god by keeping the sabbath or doing anything else some long dead person has said you should do?